National Association for Law Placement (NALP) is an association of over 2,500 legal career professionals who advise law students, lawyers, law offices and law schools in North America and beyond. NALP believes in fairness, facts and the power of a diverse community. Staff work every day to be the best career services, recruitment, and professional development organization in the world because they want the lawyers and law students NALP serves to have an ethical recruiting system, employment data they can trust, and expert advisers to guide and support them in every stage of their careers. Visit nalp.org for more. 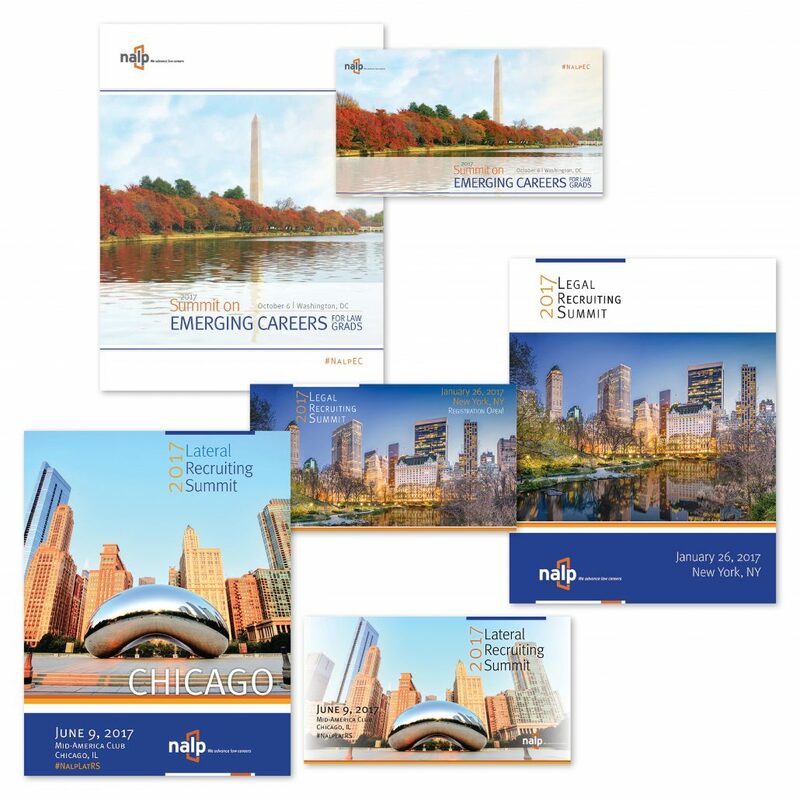 NALP’s Annual Education Conference is the largest gathering of the year with about 1,200 attendees and a robust vendor hall. Larissa manages and produces all visual pieces, including brochures, manuals, mobile apps, print and digital signage, presentations, flyers, and much more. She is also responsible for registration and app marketing via email and social media. 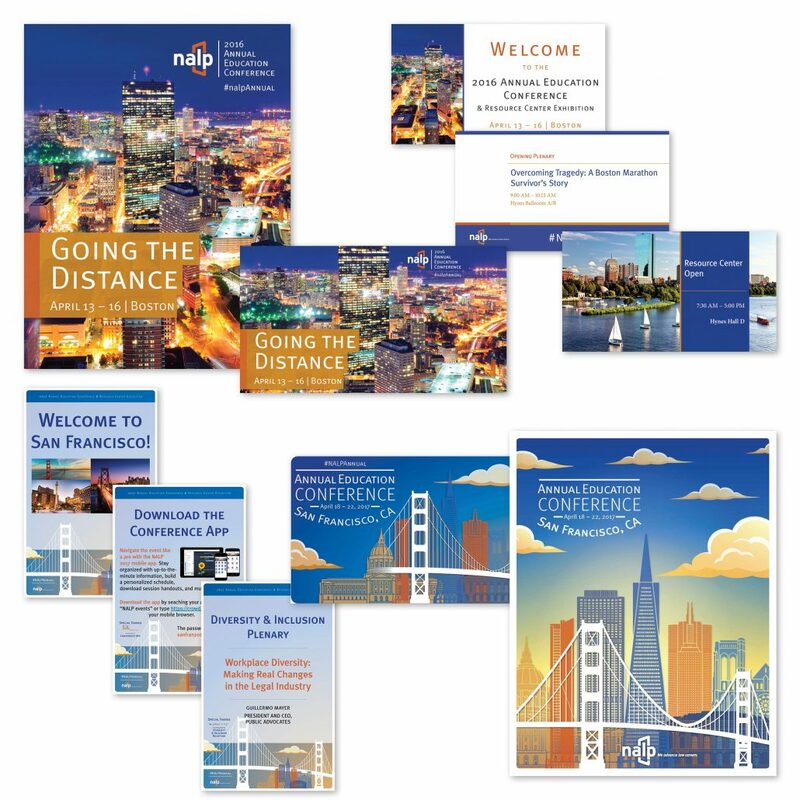 Standing apart from other programs, this conference is branded with a theme chosen by the planning team – providing varied styles year to year. The Professional Development Institute (PDI) is the second-largest educational conference with about 400 attendees. 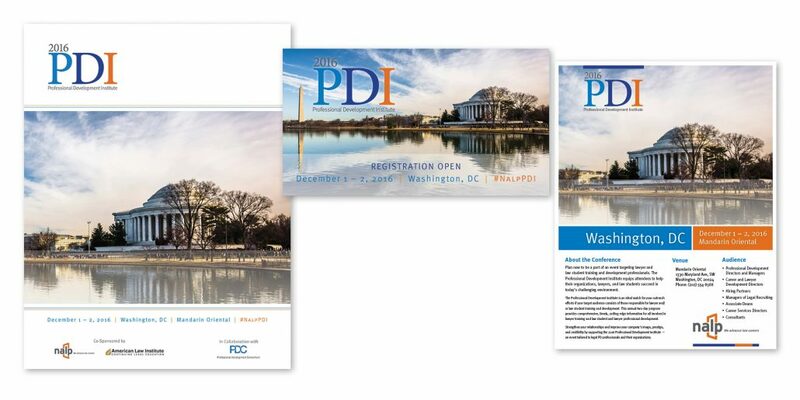 PDI is a key event year after year, with specialized training for both law firm PD professionals and law school career professionals. Larissa manages the production of all materials and marketing, and in 2016, introduced PDI’s first mobile app with great success. 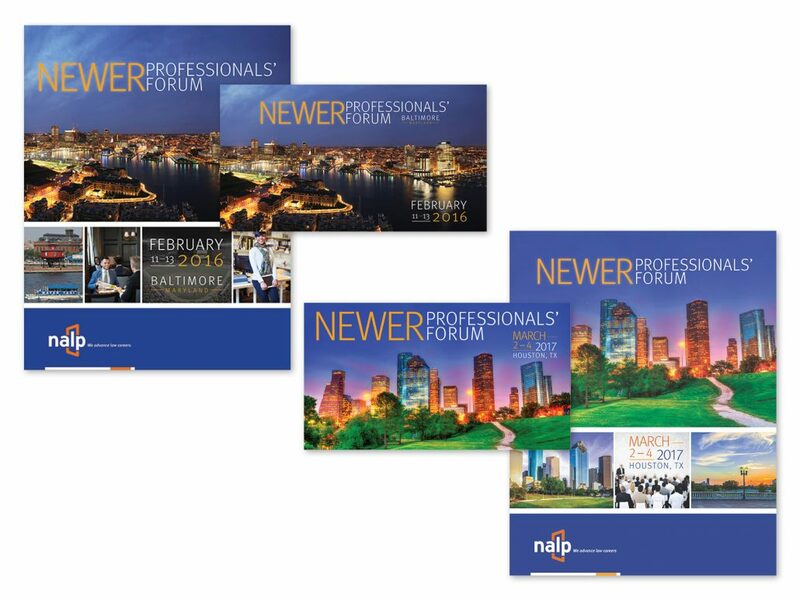 Completing NALP’s primary education programs, the Newer Professionals’ Forum (NPF) is always in demand. NPF brings together newer professionals (less than four years in the legal field) and experienced faculty to focus on career development and fundamental skills. Larissa has established a strong brand for NPF as she manages the production and marketing. Like PDI, 2016 premiered the first event app for NPF. These one-day Summits provide tailored programming for niche membership groups. These conferences are marketed online only – no printing or mailing. Larissa manages the digital production, marketing and website support for each conference.